A hazmat team was reportedly sent to Maine Republican Sen. Susan Collins’s home in the state Monday after a suspicious letter was found. “Members of our Criminal Investigation Division are currently on scene and the investigation is ongoing. The Bangor Fire Department and a HAZMAT team from Orono, Maine, are assisting the investigation,” Bangor, Maine, police Sergeant Wade Betters said in a statement to Bangor Daily News. Collins was reportedly not at her home at the time. “Her husband is at the house now, and she’s on her way home,” Annie Clark, a spokeswoman for Collins, said to the news outlet. NEW – Bangor Police Dept, Fire Dept, local hazmat team is investigating a supicious letter at the home of @SenatorCollins in Maine. FBI is aware. Bangor PD is leading the investigation. Criminal Investigation Division is on the scene. Investigation is ongoing. BREAKING: Bangor Police Department, Fire Department, and a HAZMAT team are investigating a suspicious letter that was sent to the home of Republican Senator Susan Collins. BREAKING NEWS: Bangor Police Dept, Fire Dept, local hazmat team is investigating a suspicious letter at the home of @SenatorCollins in Maine. FBI is aware. Bangor PD is leading the investigation. Criminal Investigation Division is on the scene. The investigation is ongoing. 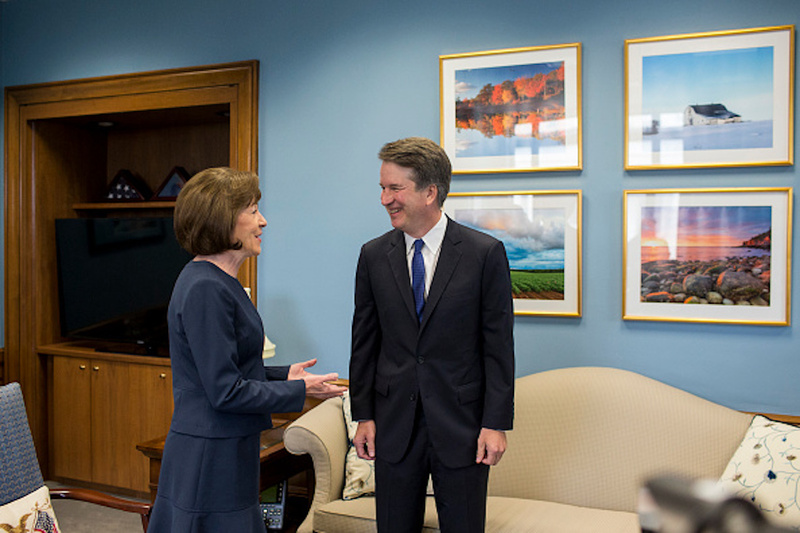 Collins made a last-minute decision to vote in favor of Supreme Court Justice Brett Kavanaugh, making it possible for him to get confirmed.